The European voyager barge is a high volume motor vessel inspired by the inshore cargo vessels. 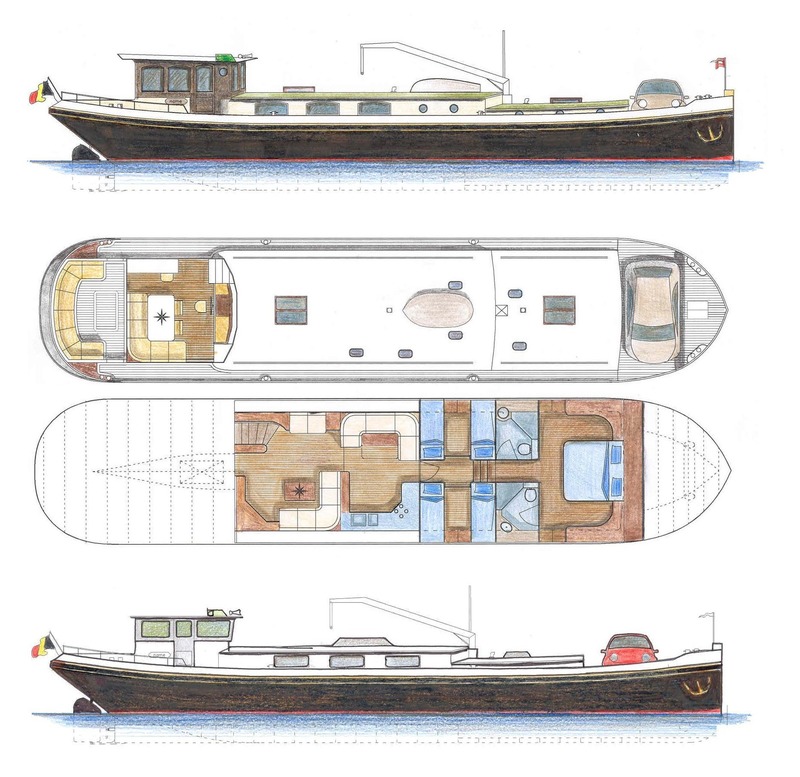 The client requited a industrial look, a classic version with wooden wheelhouse is also available. Possible from 15m LOA and upwards.